Whether it’s a special occasion with your partner, or just a chance to catch up with family and friends, there’s something quite nice about getting out into nature and enjoying a picnic under the southern sun. 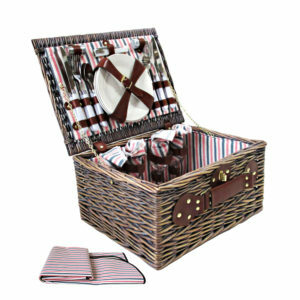 So you’ve got everything packed – the insulated picnic basket is brimming with fantastic food and drink, the rug is ready to go, and the kids are eagerly stuffing the backyard cricket set into the back of the car. But now for the toughest part of the day – deciding where to set up for your fun in the sun. If you’ve got all the gear but no idea where the best feasting locations around Australia are, you’re in luck, because we’ve sent our scouts on the hunt for the country’s top 10 most incredible, picturesque, or downright unbelievable picnic spots. If you’re into big, open and green spaces, then Edinburgh Gardens in the Melbourne suburb of Fitzroy is the place for you (and the family). You’ve for the best of everything here, with open lawns as well as sheltered areas and picnic tables. There’s even a bowls club where you can have a barefoot roll if you’re sick of the kid’s cricket-related tantrums halfway through the afternoon. This one will be a winner no matter what the occasion or company. This is one for the adventurers, considering Wineglass Bay is located in one of the more rugged parts of Tasmania. You’ll have to be ready for an adventure to get there, but the effort is well worth it when you eventually stumble across one of the most picturesque parts of the country. Wineglass Bay boasts some of the bluest water you’re likely to swim in, and some of the whitest sand you’re likely to stand on. Set yourself down anywhere you’d like along the beach – there’s plenty of space for everyone to settle in and enjoy the best Australia has to offer. What’s not to love about picnicking in the Barossa Valley? Not only is this part of the world unbelievably beautiful, but it’s in the dead centre of Australia’s wine heartland. Sample some of the region’s best produce – did we mention the wine? It’s no joke – some of the world’s best wines come from this region, and as such, it would be rude not to enjoy a relaxing picnic among the vineyards at any number of wineries in the area. 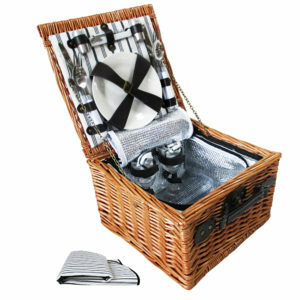 You can even get your hands on picnic platters depending on where you set your blanket down on any given day. Just a short two-hour drive from Melbourne is the famous Twelve Apostles. 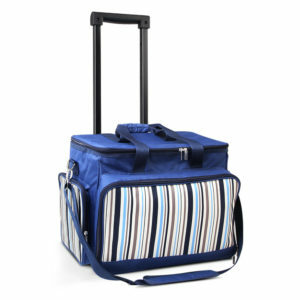 Pack a picnic with your insulated picnic basket set to make sure your food stays fresh, and hit the road for a road-trip along the Great Ocean Road. Make sure you save your picnic for when you get to Gibson Steps, the lesser known viewing point for the Twelve Apostles. Walk down the steps to the beach, and spread out that picnic blanket with the most epic and otherworldly view before your eyes. You’ll likely have the place to yourself, so soak up the atmosphere and spend the afternoon feasting on delicious food and a few bevvies. Nestled on the New South Wales’ south coast, Hyams Beach is truly a special part of the world. The beach itself sits within Jervis Bay, about two-and-a-half hours south of Sydney. Hyams is another beach on this list that boasts crystal blue water and incredibly white sand – comprised entirely of pure quartz. If you set up straight out of the front of the village itself, you may be overrun with families but walk a bit further up the beach in either direction, and you’re likely to have a nice large slab of sand for your use exclusively, so grab your stylish cane picnic basket and fill it to the brim with food to take with you! If you’re into sun, surf, and suds on your Friday afternoon, then a picnic/BBQ at Snapper Rocks on the Gold Coast may be just what the doctor ordered. Not only is this part of the world incredibly photogenic, but the cruisy beach vibes will have you in the best mood heading into your weekend as you enjoy a picnic with family and friends on the sand of Australia’s most famous surfing spot. Unwind and let the warm Queensland breeze sweep away all your worries, kick back on the sand and watch some of the world’s best surfers do their thing as you tuck into a fantastic picnic, safely kept by your new picnic basket from Picnic Basket Shop. Year after year, Whitehaven Beach is voted one of the best beaches in the world. So what better way to celebrate this pristine beach than to set down your rug and picnic basket on the white sand and enjoy some bubbles and a cheese board. While there are facilities for you to use at the southern end of Whitehaven Beach, there are even catering options for those looking to impress just that little bit more. 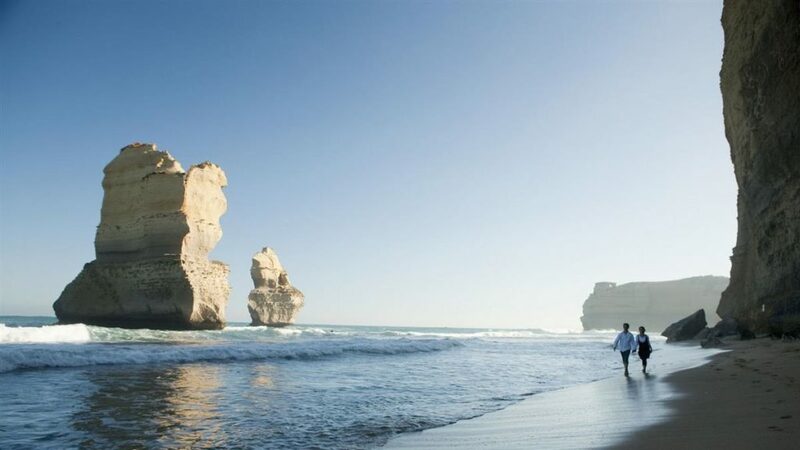 Known for its crystal white sand and incredibly blue water, you’re sure to impress that special someone or have the kids in awe of one of Australia, and the world’s, most spectacular stretches of sand. This may be one of the most amazing places in Australia that you’ve never heard of. Cable Beach in Broome, Western Australia is, without doubt, one of the most incredible spots Australia has to offer. Plan a sunset picnic for that special someone and knock their socks off as the sun dips below the horizon and the camel riders pass across the white sand. Use caution when entering the water between November and April – box jellyfish may ruin what is otherwise a fantastic day out at the beach, but you won’t be disappointed with the scenery and your picnic basket from Picnic Basket Shop. You’re not going to find a more incredible and spiritual spot to lay out your picnic blanket and spread than in the very centre of Australia. Uluru holds a special place in the heart of all Australians, and what better way to experience the magic of the red rock than with a sunrise or sunset picnic at one of the many dedicated picnic zones around the area. 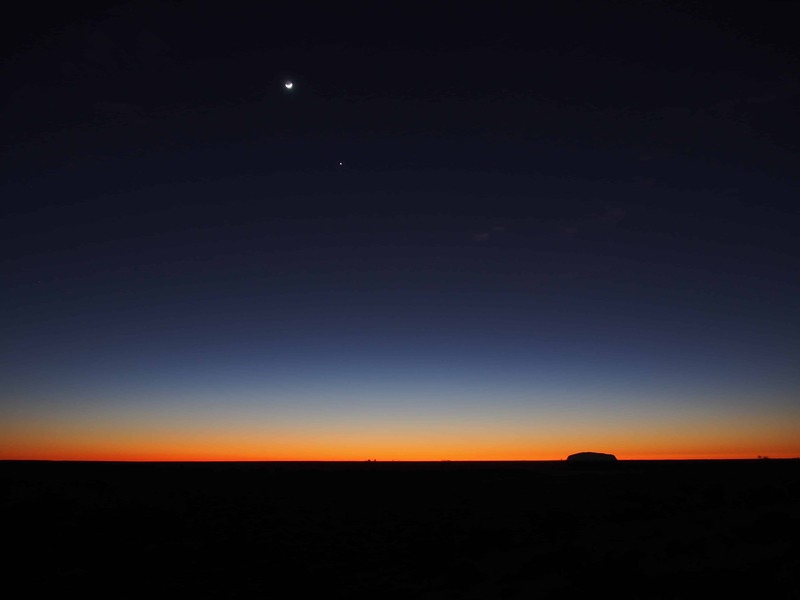 The best time to enjoy good food, good drink and good company at Uluru is either sunrise or sunset when you can enjoy the changing colours of the rock as the sunlight hits it from all different angles. One of the best spots is the lookout at Talinguru Nyakunytjaku which has sheltered areas, bathrooms and water outlets to keep you hydrated. But importantly, this area has unobstructed views of the rock and surrounding areas – one not to be missed. If you’re into billion-dollar views, then this picnic spot is the one for you. 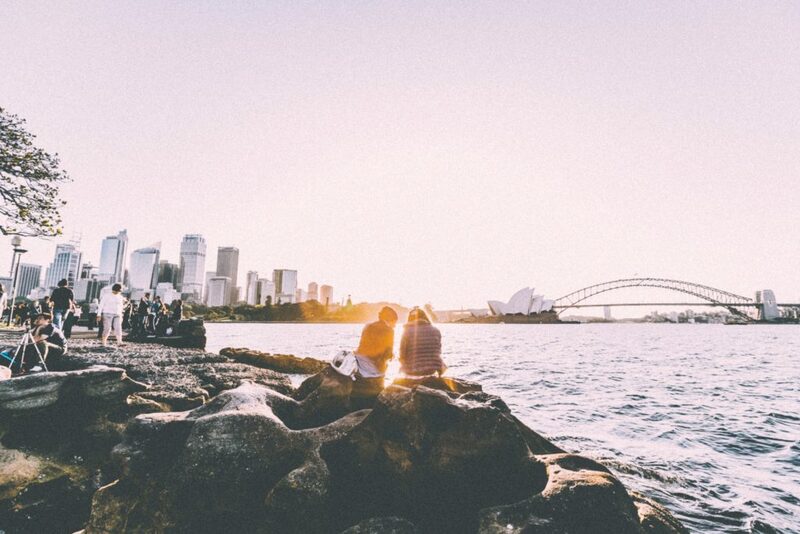 While it’s tough to definitively rank the best picnic spots in Australia from 10-1, you’ll do pretty well to find a more scenic spot than this. Take in the breathtaking Sydney Harbour Bridge and Opera House from an angle that does the incredible size and detail of two of the world’s preeminent tourist attractions justice. You may have to share it with a couple thousand of your closest friends because unsurprisingly, it is one of the most popular tourist spots on the planet. 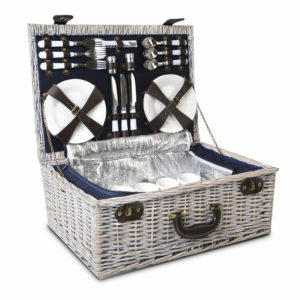 As long as you don’t mind the extra company, you’re sure to have an incredible day in the sunshine with your friends and family and willow picnic basket set. This entry was posted in Picnic Inspiration, Picnic Locations. Bookmark the permalink. Jack is an Owned Coordinator at Reprise Digital in Sydney currently learning the in's and out's of SEO. He is responsible for the majority of the content on Picnic Basket Shop, so you'll likely see his name pop up on most of the blog posts.